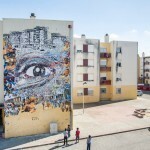 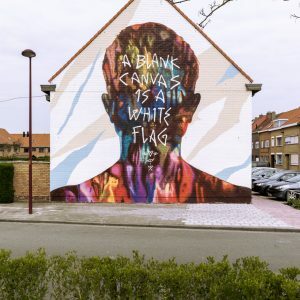 After Part I – Part II, here comes the third instalment from Vhils‘ trip to the Portuguese archipelago of the Azores for the Walk & Talk festival. 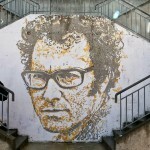 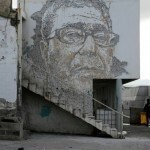 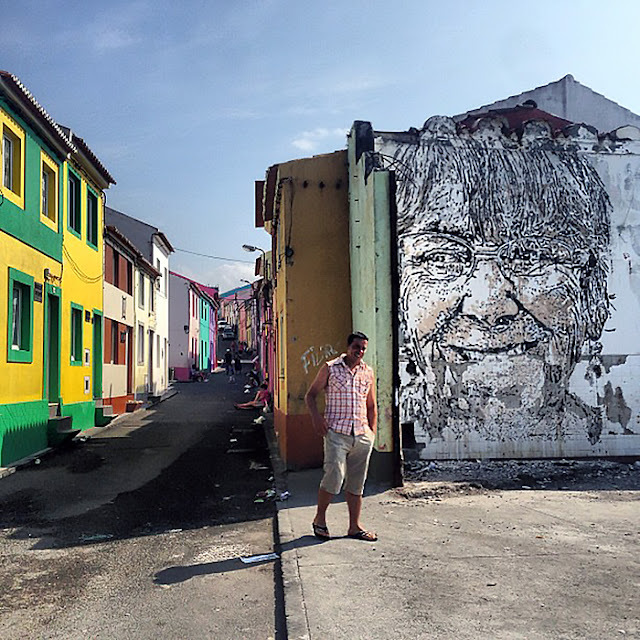 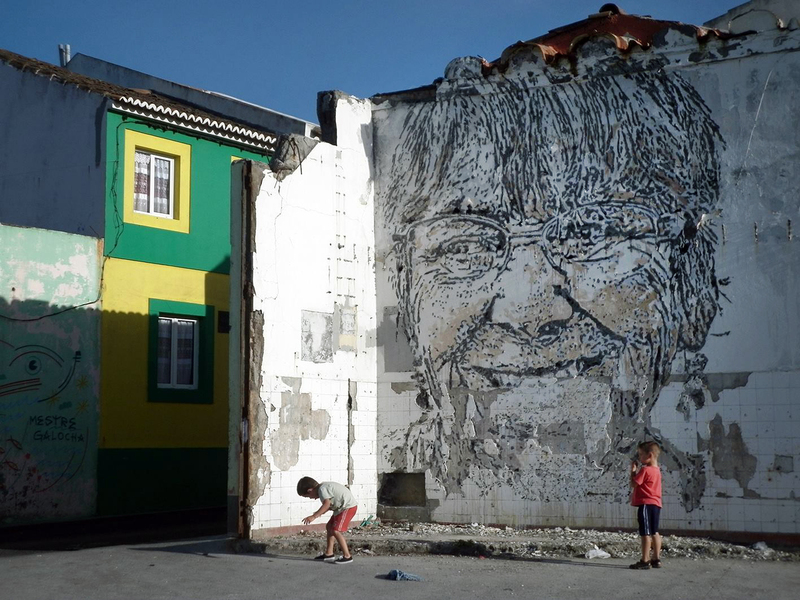 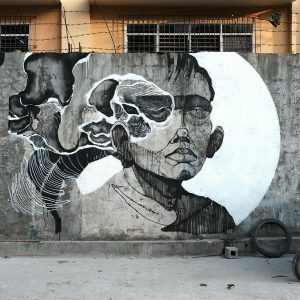 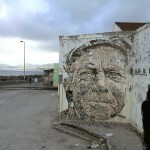 As usual with Vhils, he used his well known technique of chipping away at the wall to create this beautiful portrait . 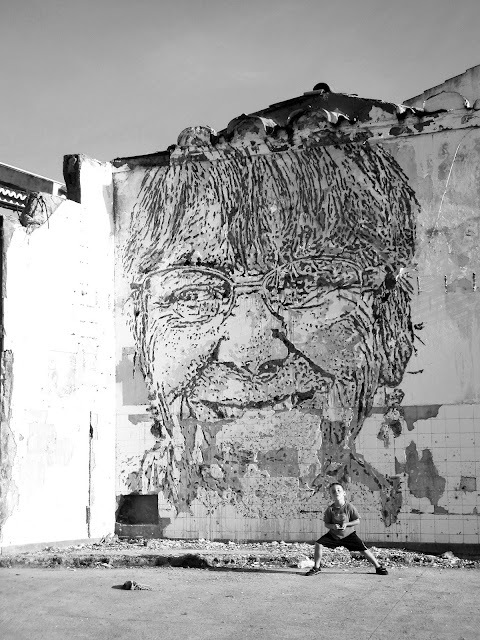 Check back with us soon for more updates from Alexandre Farto aka Vhils.